J & T Joinery work together with their customers to provide a kitchen solution to work to any budget. We work together with the builder, designer or individual to find materials that work to their colour palette or their budget. We are able to supply a range of stone, marble, acrylic or post-form benchtops to meet the premium range or the budget conscious consumer. We also can provide a painted door, a molded door and various ranges of melamine doors to suit any budget. We work comprehensively together with our clients during all phases of the kitchen project including the initial consultation to the design, development and colour consultation to find a solution that will meet the requirements of our customer for the functionality, use of space, colour and appeal to our customers. We also offer a 3D Drawing program that we utilize to assist the customer in visualizing and making the design decisions. Book a personal design consultation direct with the office. For a very sleek, stylish and simply stunning look – glass splash backs are a modern, stylish alternative to tiling with no messy grout joins and no maintenance, creating an ultimate feature in any kitchen or bathroom. 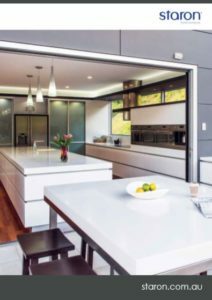 All of our glass splash backs are made and designed to order which can include specialty finishes and unlimited patterns, mirrors, colours and size options. Cut-outs and power point cut-outs are not problem and are all possible.